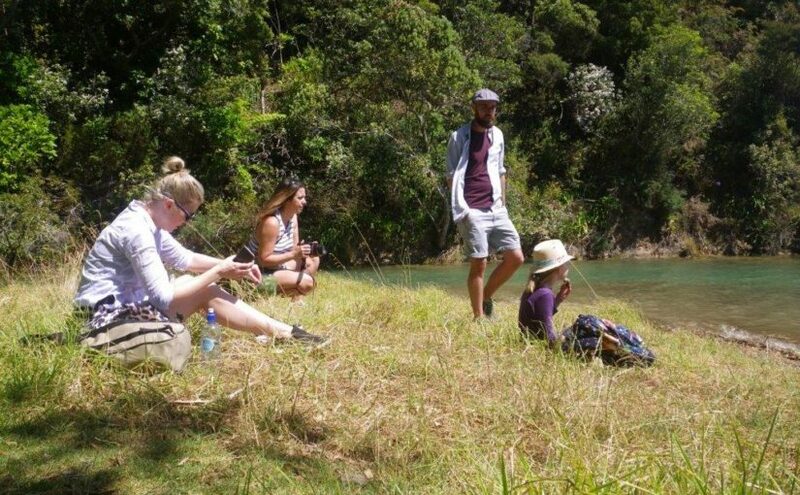 The English branch of the Potter family is visiting NZ this Christmas, so we took the opportunity to spend a couple of days with them in Kerikeri. 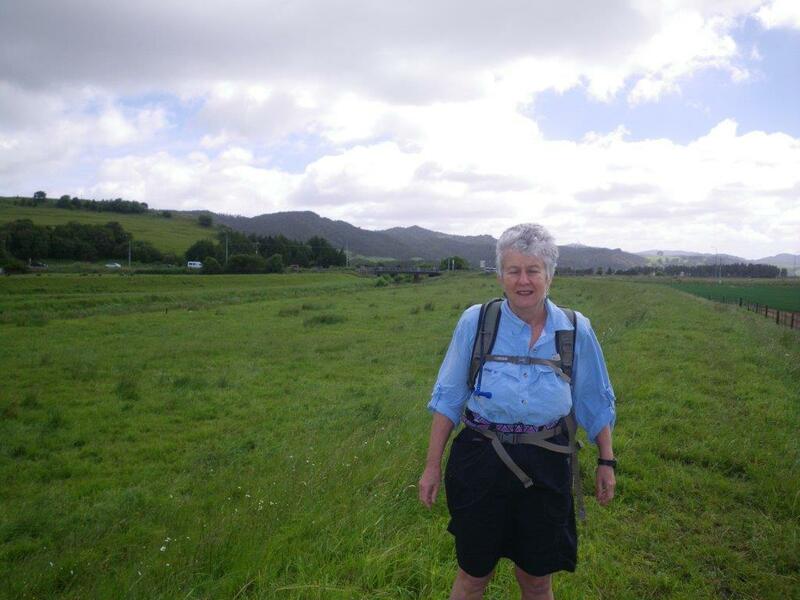 Running from the junction of State Highway 2 and Lyons Rd to State Highway 1 at Mercer, this track is part of the Te Araroa Trail. 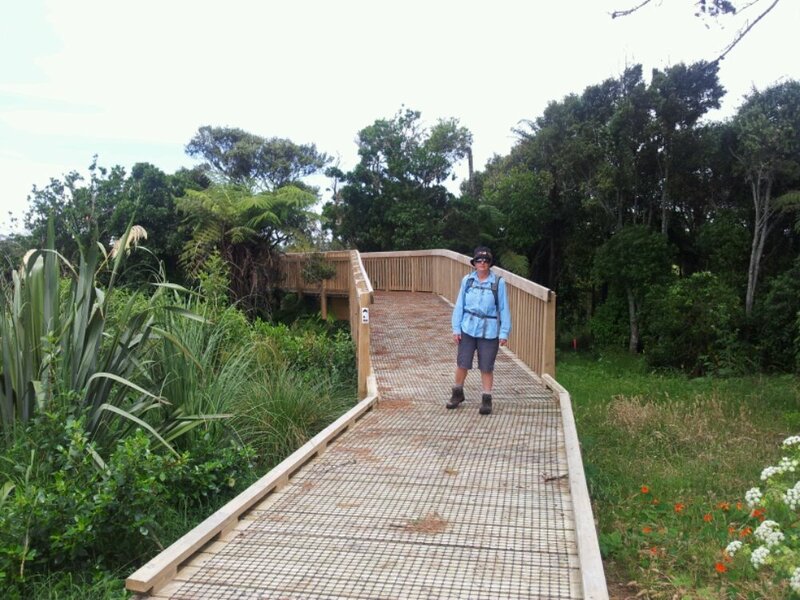 One section of the Te Araroa trail that we have always wanted to walk runs from downtown Auckland to Onehunga. 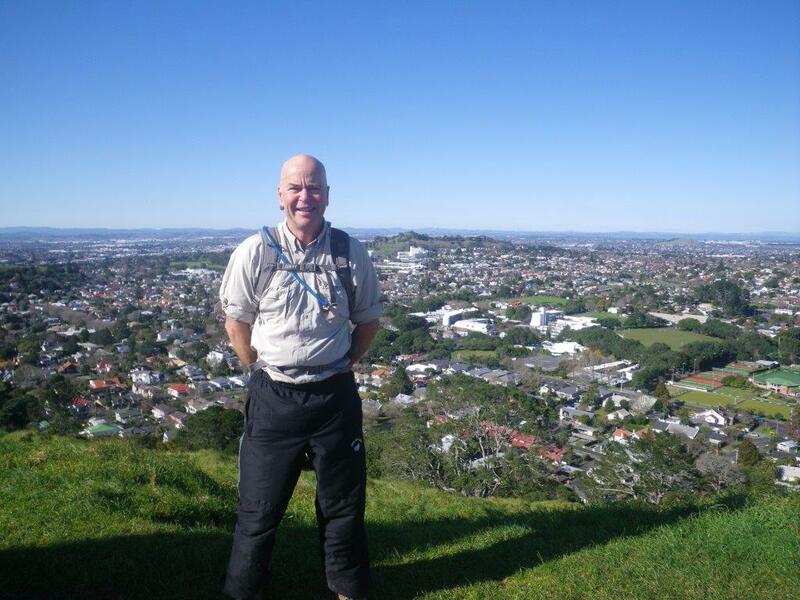 Yesterday we decided that we would do it properly by parking in Devonport and catching the ferry to the city. 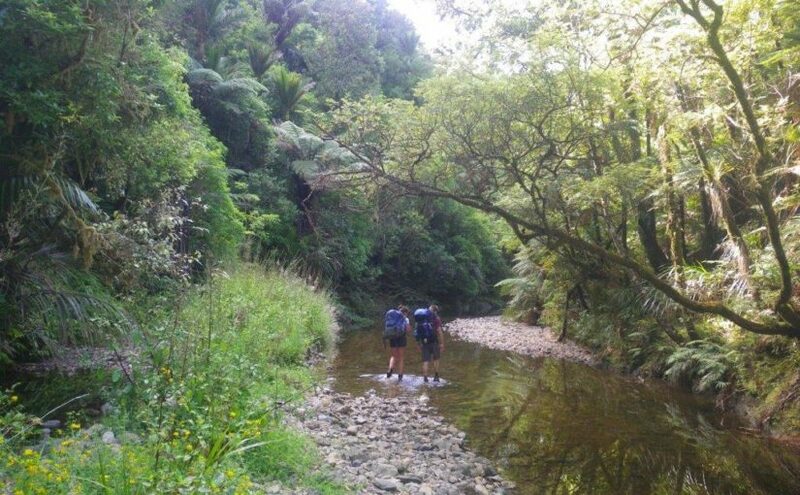 A friend who is walking the Te Araroa Trail told us that the track through to Puketi is one of the most beautiful areas of kauri forest he has ever been in, and we would now have to agree. 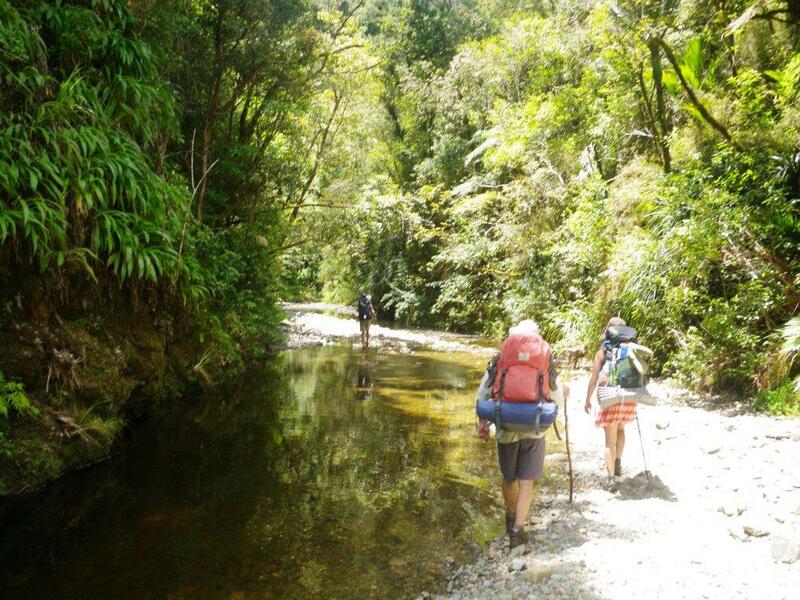 Our friend Mike hasn’t done much tramping in NZ so we invited him to tag along, expecting he would be impressed too. 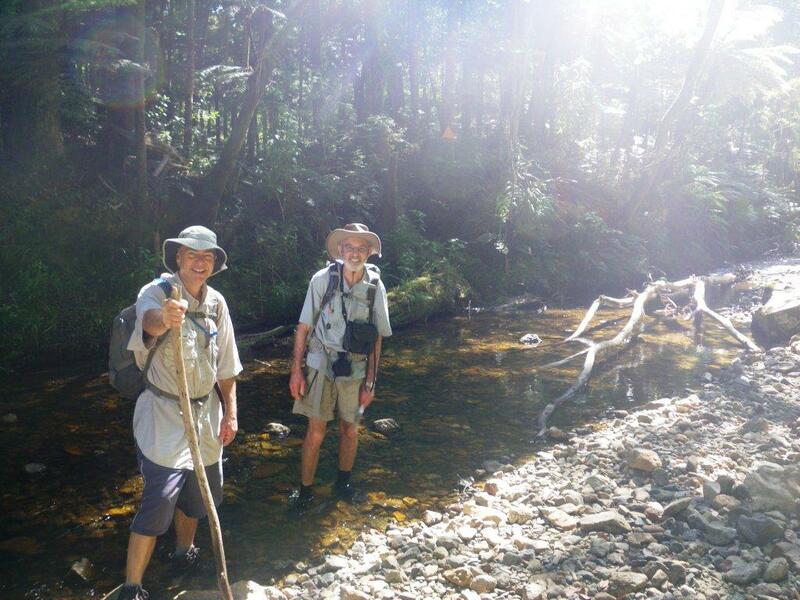 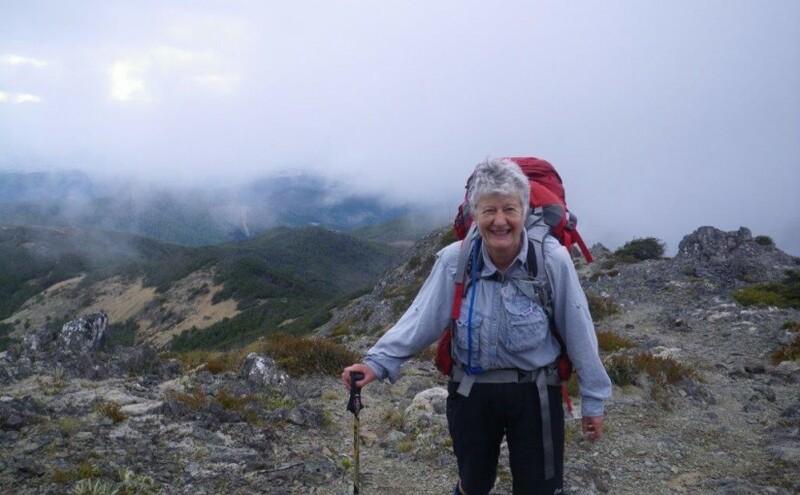 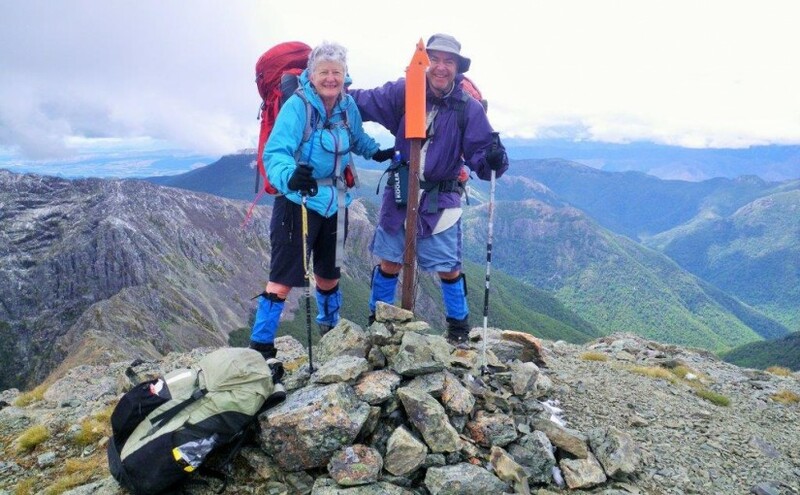 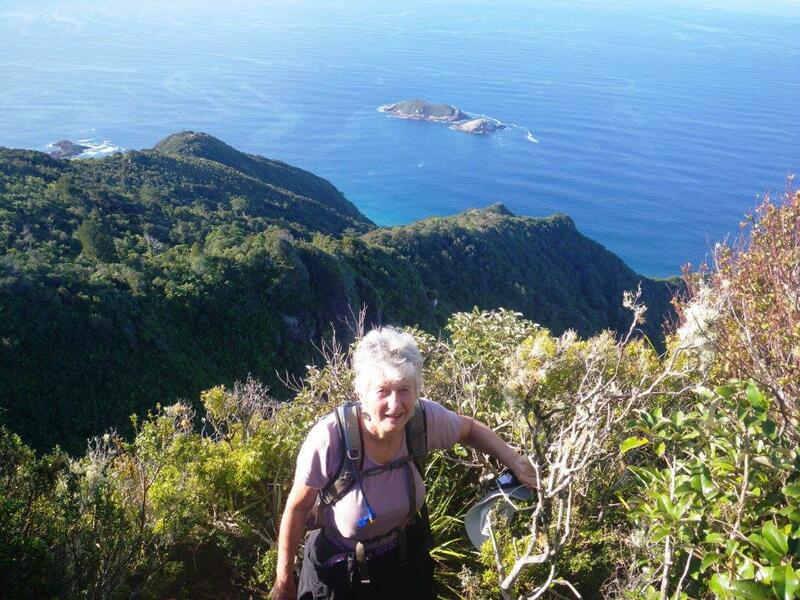 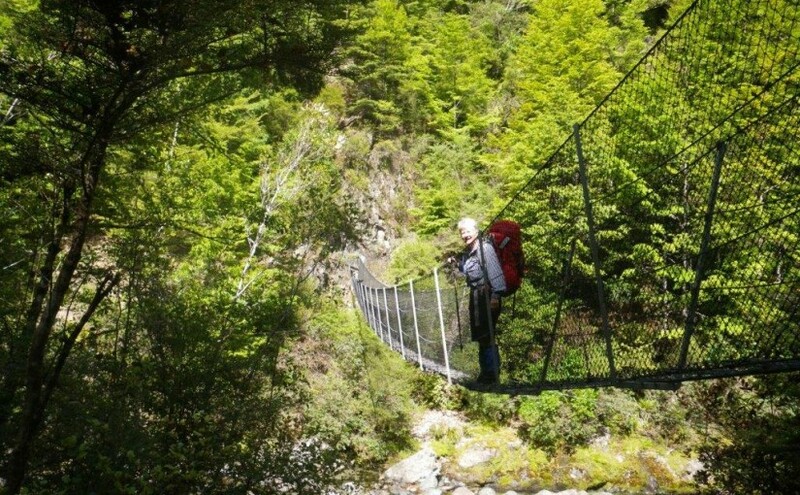 Our friend Murray Faulkner is walking the Te Araroa Walkway, and when we heard he was about to do the Russell Forest section we decided to join him for a day. 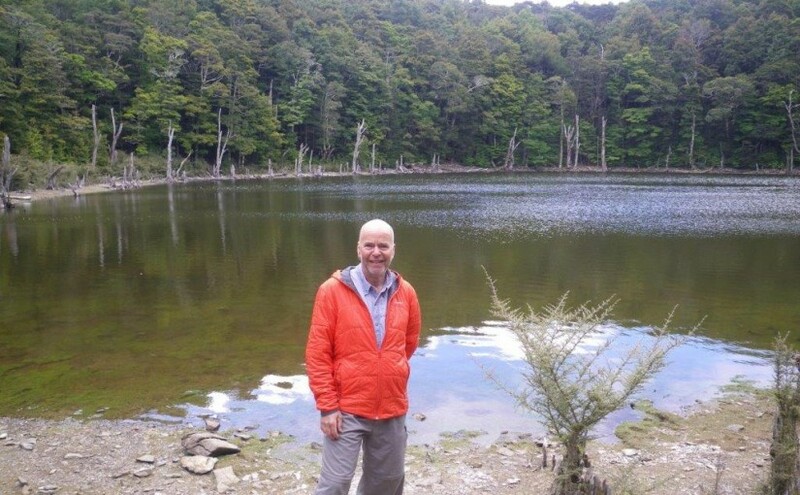 Yesterday he took a water taxi from Opua to the Waikare Inlet where he joined his wife Linley and their campervan. 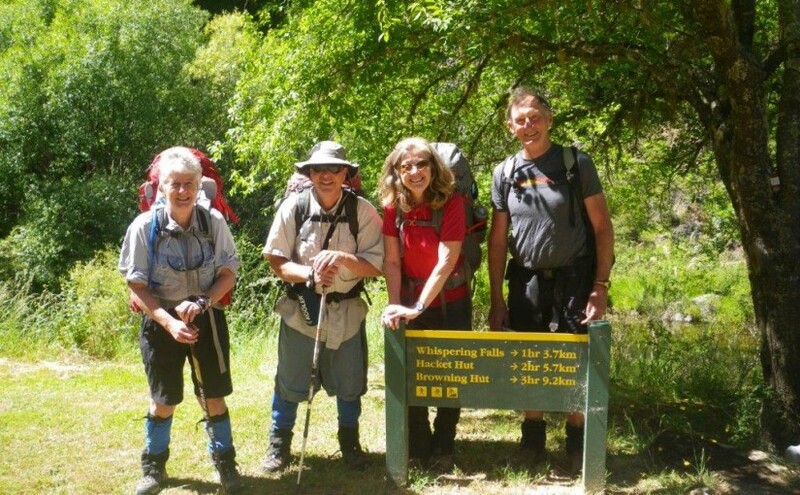 We drove up from Auckland and met them there mid-afternoon. 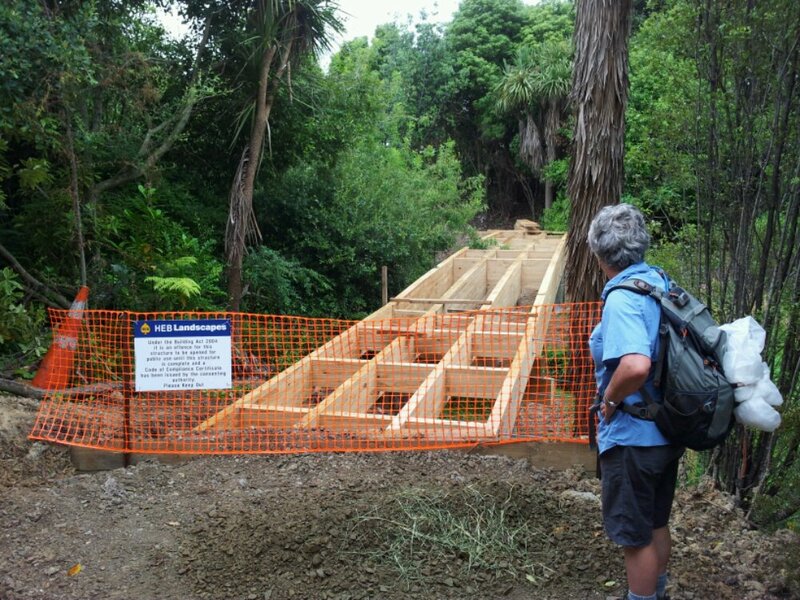 Kimpton’s career as a road surveyor was presumably not a successful one. 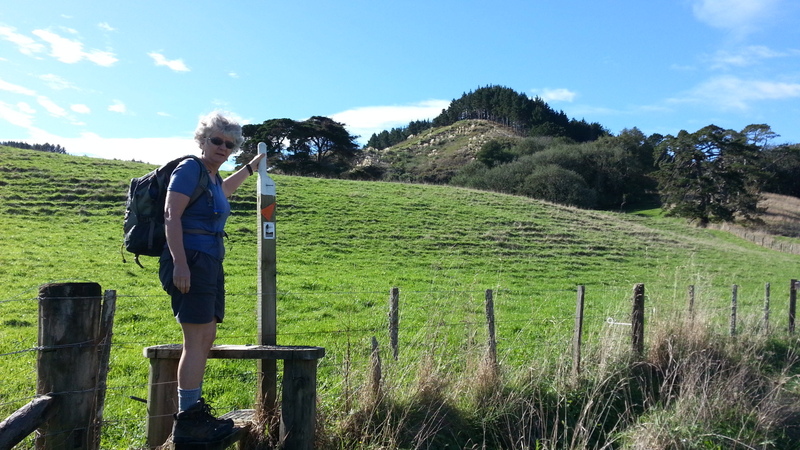 Our mission for today was to explore the section of the Te Araroa Trail that runs from the edge of the Manukau Harbour and up the banks of Puhinui Creek.